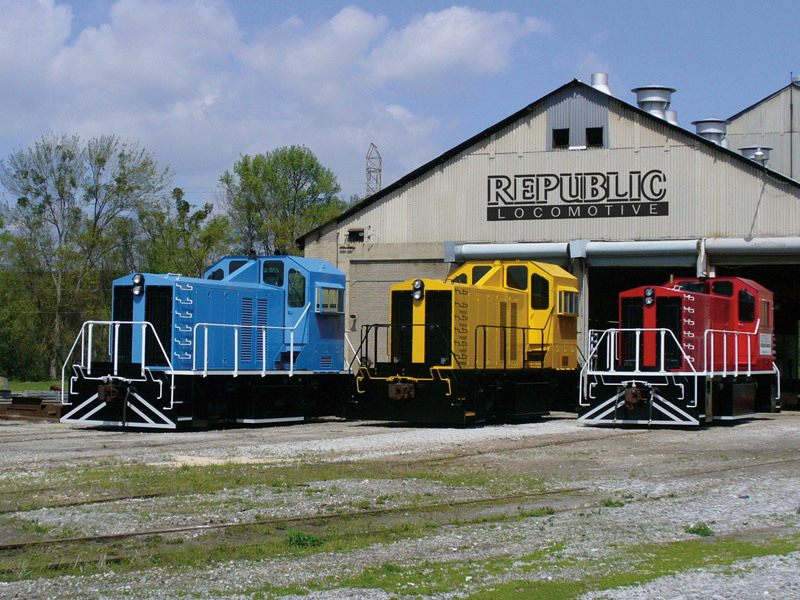 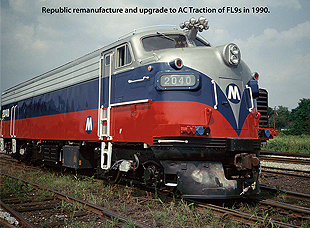 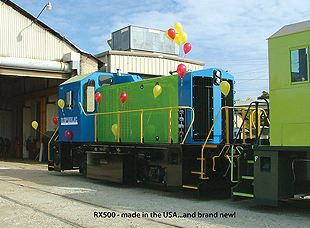 As the proud manufacturer of the only all new industrial diesel electric locomotive in North America, Republic Locomotive offers custom locomotives for clients in a variety of industries. 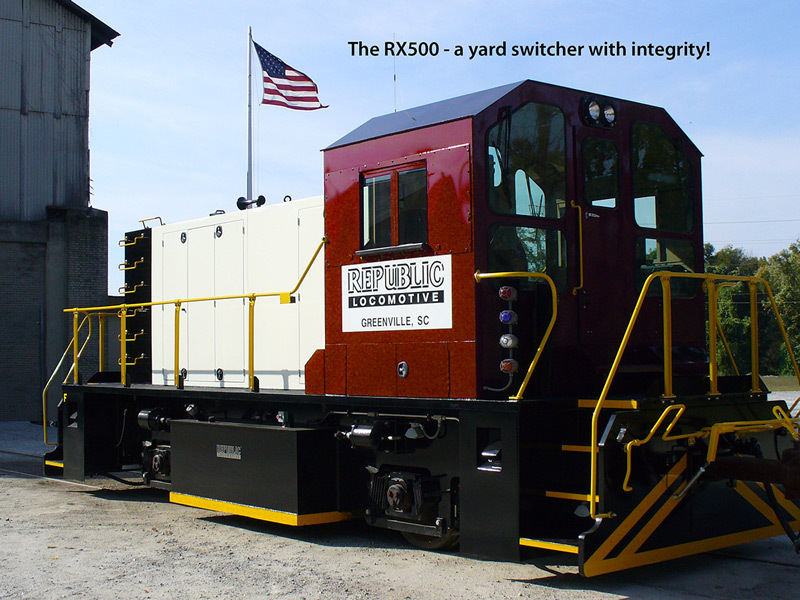 Our custom designs are ideal for unique applications, with services including parts and field service, remanufacturing, repairs, and contract maintenance. 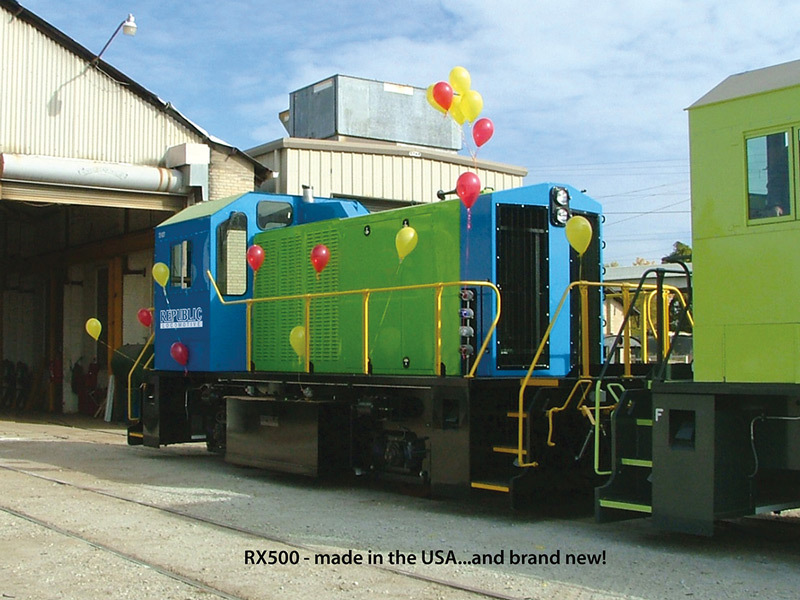 We offer cost effective solutions, providing a wide range of flexible financing and lease payment options. 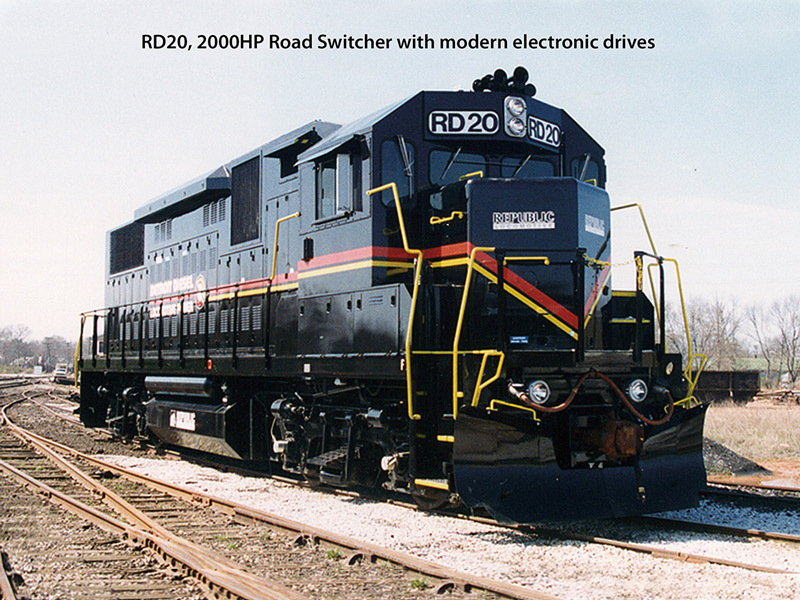 Our modern patented design is loaded with features including a new high adhesion AC traction system which eliminates wheel slip, an environmentally friendly Tier 3 engine for greatly reduced emissions, simplified joy stick control, high efficiency engines and drive systems, radio control and remote diagnostic capabilities. Our systems also have very low maintenance requirements and the distinction of saving 1,000,000 gallons of fuel over the life of the locomotive. 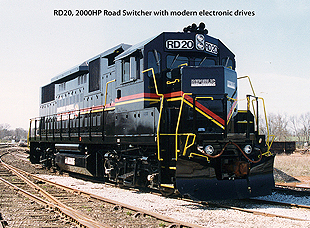 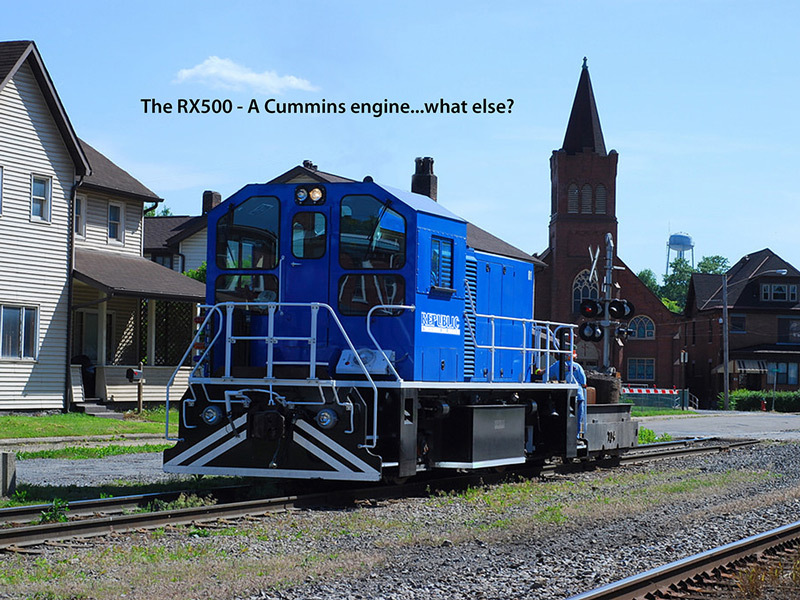 Our RX500 industrial locomotive and RX500 switch engines are designed exclusively for the industrial switching market, with up to 50,000 lbs of tractive effort making it equivalent to the GE 144 ton and EMD SW 1000/1200 models. 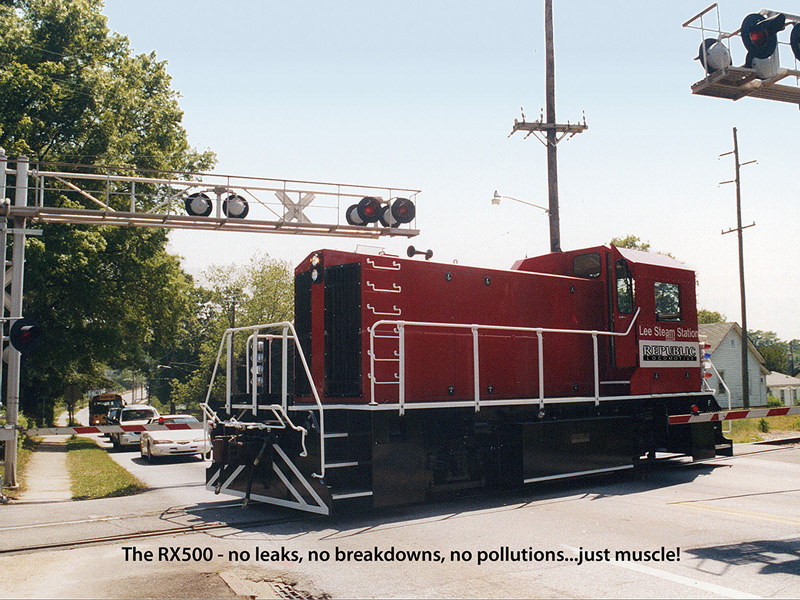 We have worked extensively with customers in the military, paper mill, agriculture, steel, mining, tunneling and automotive industries, as well as transit authorities, commuter lines; class 1 railroads, and short line railroads. 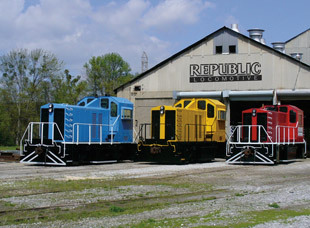 For more details contact us directly.